My contribution to the Great Backyard Bird Count this year, the first year I have participated, consisted of me sitting at the windows of both my aunt and uncle’s house and my parents’ house watching the feeders. Of course I am aware that the Great Backyard Bird Count can include birds counted anywhere but I guess I am a traditionalist and feel that a backyard bird count should occur in a backyard (or two). Despite the snow cover that usually forces more species to the feeders there were not a lot of birds. But to get to Saugerties, where all of the aforementioned relatives live, I had to drive there. And seeing as Coxsackie, which is well-known for its grassland habitat, is on the way, I detoured and drove some back roads hoping to see some raptors. 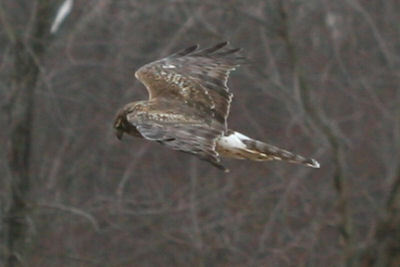 The Northern Harrier above was one of three I spotted, and I watched her go feet-first several times into the weeds poking through the snow cover in a field. Then she didn’t come back up out of the weeds so I assume she made a kill. I also spotted three Red-tailed Hawks hunting for breakfast before my stomach growled, reminding me I was in need of some breakfast too. So I headed to Saugerties and sat myself by my aunt and uncle’s window with a cup of coffee and my camera. The variety of birds at their feeder array has dropped a bit since the squirrels ran off with the last suet feeder but, as usual, I loved photographing the birds coming to the window feeders. In the hour’s time I paid attention to the birds rather than filling my stomach I spotted six species of bird, with the Red-breasted Nuthatch being the coolest, in my humble opinion, and twelve Dark-eyed Juncos being the most numerous. My parents’ feeder array still has suet (despite the best efforts of the hordes of squirrels) and the big ol’ finch feeder that was one of my father’s Christmas presents so our count there was a bit more diverse. The suet drew a bright male Red-bellied Woodpecker as well as the more subdued Hairy and Downy Woodpeckers. American Goldfinches were the most numerous with fourteen of them appearing at once and a skulking Carolina Wren was the highlight. Unfortunately it has been days since the flock of Wild Turkeys that had been coming for the cracked corn spread on the ground have been sighted so we didn’t get to count them. 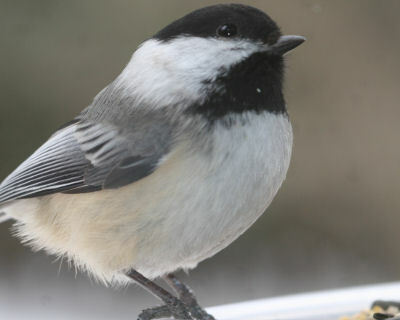 What was your best bird for the Great Backyard Bird Count? Needless to say I didn’t see much else. 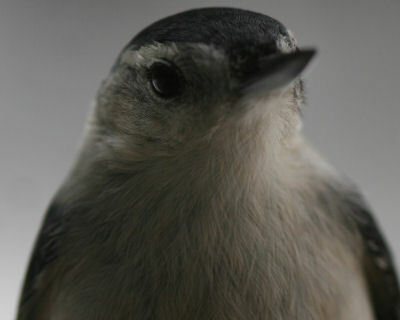 I can’t wait to share the details of my Great Backyard Bird Count miracle. @Will: The crows really rule the roost in Albany, don’t they? @Mike: Well, write it up already!!! I spent Saturday looking for owls and I managed to track down some LEO’s http://owlbox.blogspot.com/2008/02/my-personal-owl-prowl.html so those would definitely rate as my best bird of the GBBC.